Earthquakes, fires or just the natural passage of time will no longer be a threat to students and visitors experiencing the historic Mission Adobe at the Santa Cruz Mission State Historic Park. 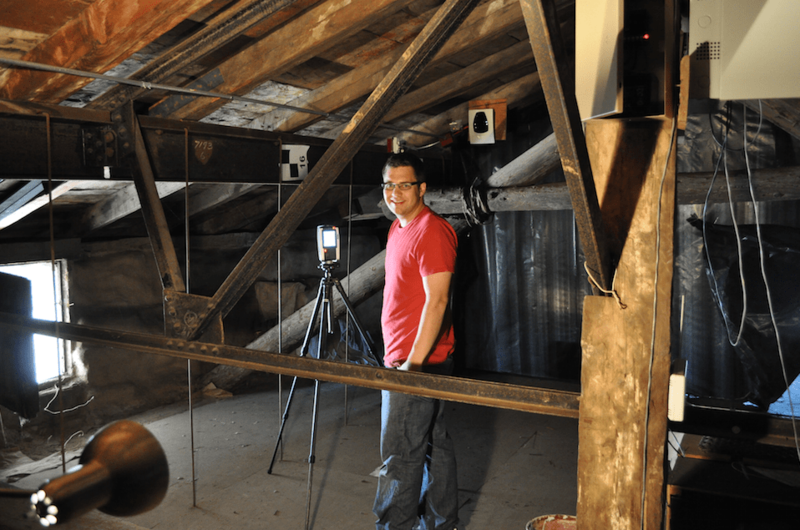 A field team from CyArk, an Oakland-based nonprofit, and the University of San Francisco used cutting-edge technology to capture detailed 3D representations of the nearly 200-year-old Mission Adobe on Saturday. 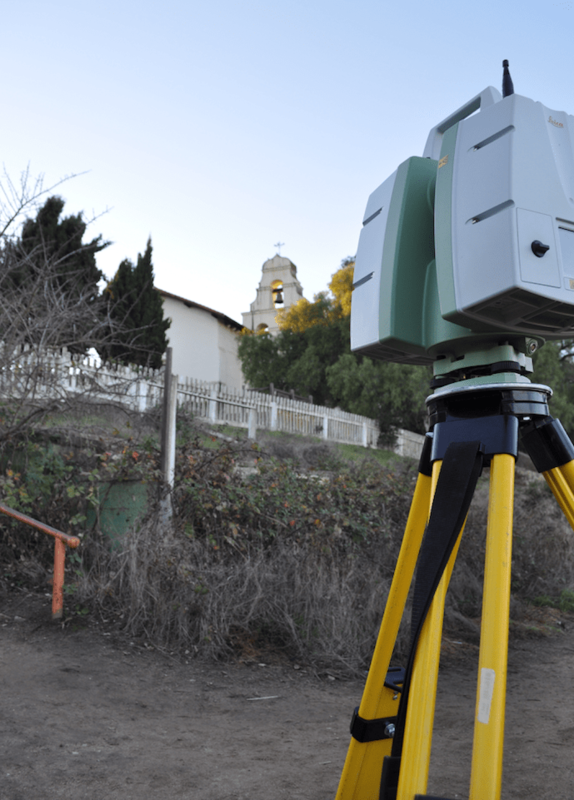 The daylong process utilized 3D laser scanning and high-definition photography to accurately map the structure. CyArk uses a wide range of preservation techniques such as LiDAR, Sonar, photogrammetry and 3D modeling to digitize the world’s cultural heritage sites for the purposes of research and education before they are lost to natural disasters, destroyed by human activity or ravaged by the passage of time. The single-story adobe is the oldest structure in Santa Cruz County. Local Ohlonean and Yokuts Indians built it at the Santa Cruz Mission between 1822-24 from bricks made primarily from mud and straw. The adobe served as housing for Neophyte families who lived and worked at the Mission, which operated until 1834 when it was secularized. After decades of private ownership, the adobe was sold to the State of California, extensively restored and finally opened in 1991 to the public as the Santa Cruz Mission State Historic Park, which the nonprofit Friends of Santa Cruz State Parks saved from closure in 2012. CyArk, an Oakland-based nonprofit, is dedicated to creating digital archives of significant cultural and historical sites around the world, including the El Camino Real de California route. Photo credit: Scott Lee/CyArk. Digitizing the Mission Adobe has long been a goal for California State Parks and Friends, the nonprofit dedicated to preserving and sustaining the environmental and cultural legacy of local state parks and beaches. “Friends has worked hard to preserve the Mission Adobe and we’re thrilled to know the park’s valuable history also will be saved in a digital format accessible to students and visitors now and also for future generations,” Bonny Hawley, Executive Director of Friends of Santa Cruz State Parks, said. The fieldwork Saturday included a full interior and exterior scan focused on the remaining original adobe, which now houses the State Parks museum. The field capture will result in a highly accurate record of the site that will be archived for the future and utilized now to develop conservation tools for professionals and educational materials for 4th graders and the general public. Students from USF’s Department of Architecture Technology Center assisted with the work Saturday. CyArk helped to establish the Technology Center three years ago and, since that time, the Department has purchased its own devices and students have been trained both in fieldwork and data processing. Students gained first-hand knowledge on the digitization process Saturday as they scanned the Mission Adobe and created models and drawings from the data. The 3D renderings created from the work Saturday will be added to an ongoing CyArk initiative to better preserve and share the totality of the El Camino Real de California route story with a wider audience. This program will include the development of an interactive map to showcase the route, the digital documentation and dissemination of the state’s 21 missions, four presidios, three pueblos and other historic sites, and the development of conservation and educational content. “State Parks is pleased to be a part of this important project,” California State Parks Interpreter III Linda Hitchcock said. To date, several missions and one presidio have been digitized and are available to “tour” virtually on the CyArk website: the Misión San Carlos Borromeo del Rio Carmelo, Misión San Francisco Solano de Sonoma, Misión San Juan Bautista de Ligui, Presidio of San Francisco, Misión de Nuestro Padre San Francisco de Asís (Mission Dolores) and Misión de San Luis, Rey de Francia. The Misión Santa Cruz will be added to this online collection, available at www.cyark.org/themes/el-camino-real.